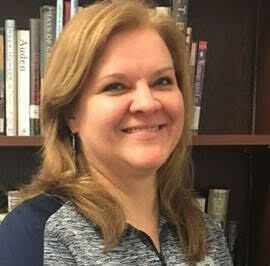 April Wyatt, a geography teacher at Chattanooga School for the Arts and Sciences, will receive the 2019 Tom and Stella Mullane Geography Teacher of the Year Award presented by the Tennessee Geographic Alliance. The award is given to outstanding geographic educators in grades 7 through 12. The top teacher award will be presented at the Tennessee Council for Social Studies on Friday, March 8, during the annual conference in Gatlinburg. In addition to a plaque, Ms.
Wyatt will also receive a $500 check from the Alliance. Ms. Wyatt was nominated for the honor by her peers at CSAS. Kurt Butefish, the director of the Tennessee Geographic Alliance, noted in a release from the Alliance that the nomination speaks volumes about Ms. Wyatt’s excellence as an educator. Mr. Butefish specifically noted the description of Ms. Wyatt’s classroom. “The nomination shared how she makes global subject matter relevant by relating it to issues in the Chattanooga area and how she draws upon personal experiences to make geography resonate with her classes,” Mr. Butefish said. The Mullane award is presented by The Tennessee Geographic Alliance, Inc., a not-for-profit 501(c)3 operating out of the Geography Department at the University of Tennessee. The Geographic Alliance receives funding through a privately funded endowment.